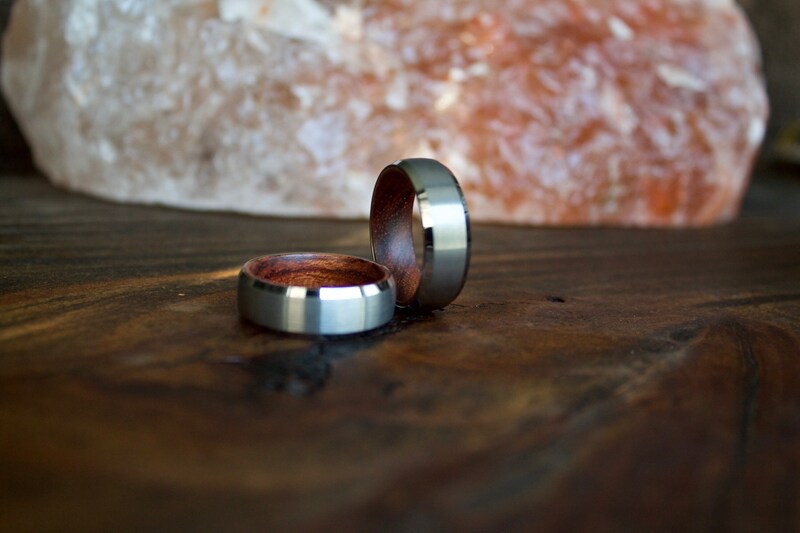 This beautiful tungsten carbide ring is inlaid with real wood. 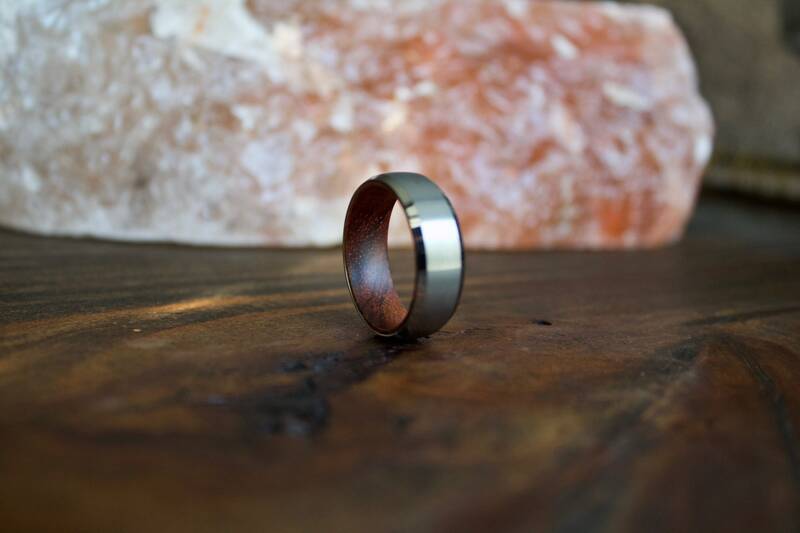 The wood lining is subtle but really gives me the feel and look i wanted in my wedding band. Am very happy with the ring and it looks great! 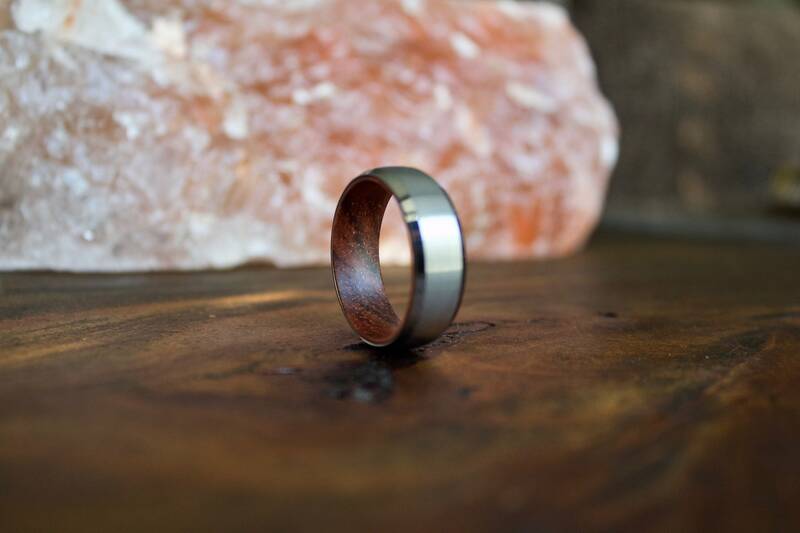 My husband chose this ring because he loved the wood and wanted a tungsten metal ring. 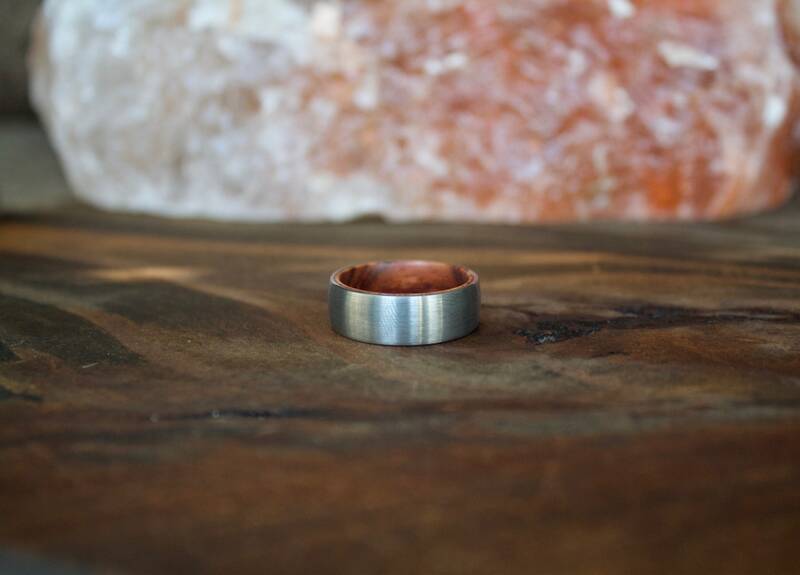 It is beveled but still slightly rounded which looks great, and it’s got a substantial weight to it. He works with his hands so he only wears this one to church and when he’s off. It looks awesome on his hand and is both beautiful and masculine.